Another day, another hobby… As most avid readers know, I’m a bit of a craft beer nut. 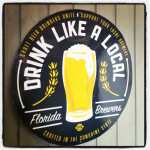 Whenever we travel, we try to fit in as many local breweries as we can, and I’ve been known to frequently visit Tampa, Fort Lauderdale, Sarasota, Dunedin, Punta Gorda and other “local” (read: less than 3 hour drive) locals to hit Florida breweries. But you can’t travel everywhere, and you can’t try every beer. If only I could ship Florida beer in exchange for local treasures in other cities and states!! In my internet travels, I’ve discovered Untappd, BeerAdvocate and BeerFests, and now my new addiction, TheBeerExchange. So far, I’ve traded a total of 5 times. Thanks to BEX, I’ve had the pleasure of dealing with Chris and Tim in south California, Mike in New Jersey, E. in Michigan, and Ross in Louisiana. For local favorites like Funky Buddha, Cigar City, JDubs, and Big Top I’ve received over a dozen different local favorites from 4 different cities for just the cost of shipping a box! 1. 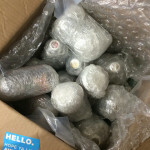 You are not shipping beer. Shipping alcohol requires an over-21 signature on the sending and receiving end. And it’s generally a lot more expensive. On the outside of the box, or if they ask, write/say “glass candles” or “liquid yeast samples” (not technically a lie). 2. Good advice for many activities, Wrap it up! Be sure to wrap each can/bottle individually and then all together. 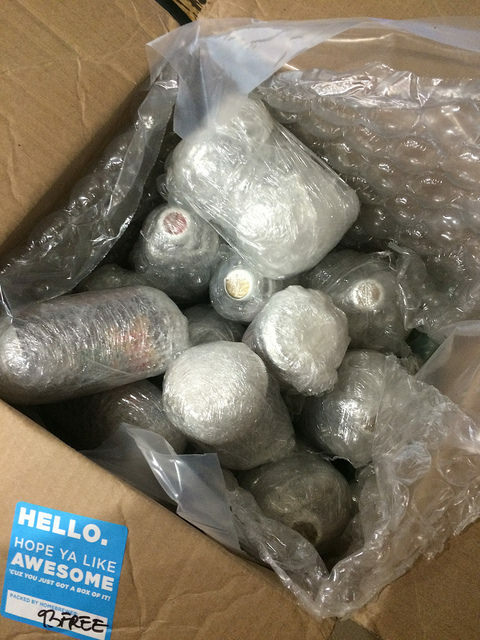 Remember, if one bottle breaks and leaks, most shipping companies will throw out the whole box. So one ziplock type bag per can/bottle is a good idea. 3. Using rubber bands instead of taping the bubble wrap is handy for the receiver, because he/she can use the bubble wrap again! 4. Give your box a good shake. Nothing should clink, shift, or move around. If it does, use packing paper or more bubble wrap. 5. Beer traders are awesome people. Include a few extras! 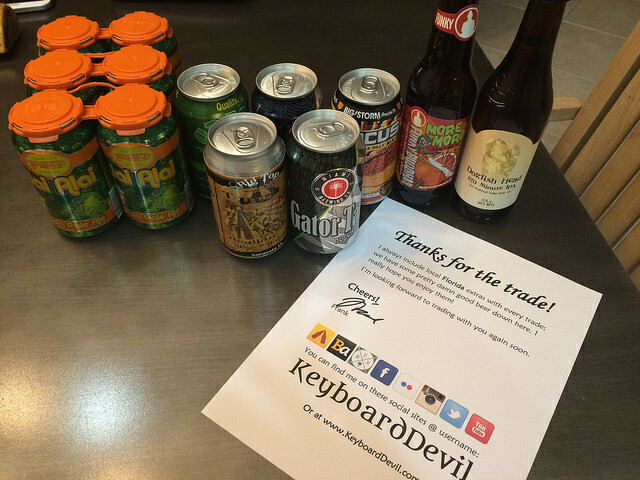 I always include a few additional Florida beers in the box, and a nice note for that “personal touch”. So, get out there and score some local beer, and then sign up on TheBeerExchange (it’s FREE). 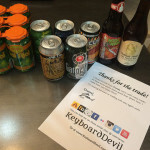 Be sure to look me up when you get there, as expected I’m “KeyboardDevil”. Also, be sure to drop my new friends Chris, Tim, Mike, E. ,and Ross a line. They’re great traders and will take good care of you. Forget about waiting on the big distributors, let’s make local beer accessible to everyone right now!